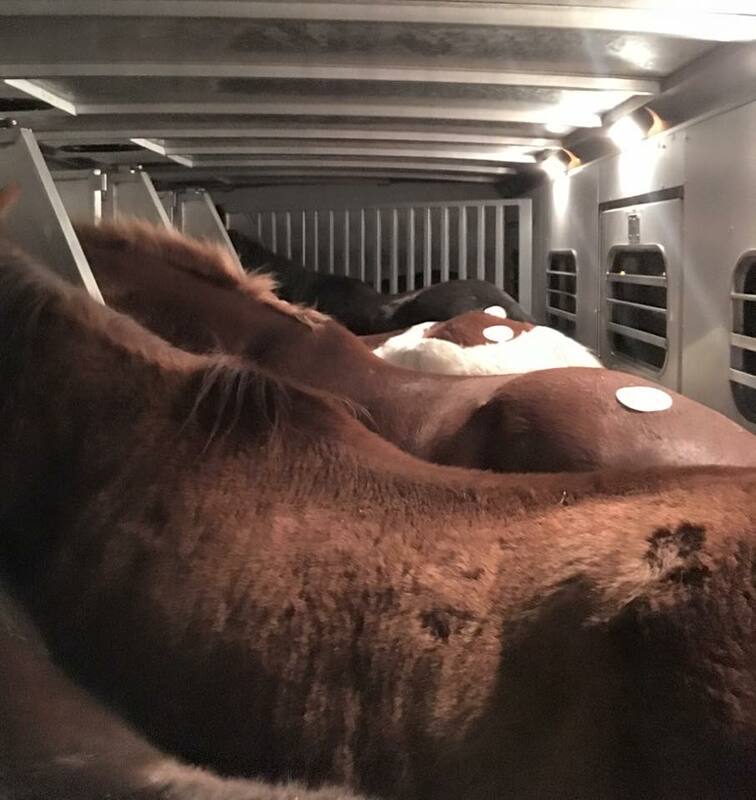 In 2015 alone, over 125,000 American horses were hauled across the borders to Canada and Mexico to be slaughtered. Year after year, this industry continues on. These are "unwanted" horses. Victims of overbreeding, divorce, or "kids getting out of horses", these horses are brought to auctions and sold to the highest bidder. Most of them are run through loose and unrepresented, with no one to say a word about them. Because the average buyer does not want to risk buying a sick or unsafe horse at auction, the horses are often sold for meat. These horses needed homes, and homes were looking for horses. We have made it our mission to bridge the gap. We go to these auctions and outbid the kill buyers (those contracted by slaughterhouses to purchase horses). After bringing them back to Bella Run Equine, we take the time to fix and get to know them so we can represent them to prospective adopters and score the horses a forever home! We are a 501(c)3 non-profit organization and have a reputation that we are very proud of. Thankfully, we learned first-hand that responsible resource management MUST be a foundation block of our program. This allows us to save as many animals as possible. Once valued only at their price per pound, the horses that we save have gone on to be valued in lesson programs, summer camps, therapy programs, and mounted patrol units! Whether it's being a trusty trail horse for a senior citizen or the best friend that carries a child to their first state championship, our horses leave us with a fresh start and a bright future! While the crippled and dying horses break our hearts, we must remain realistic and make responsible decisions when deciding who to purchase at auction. Let's just say we have $1000. If we purchased an old crippled draft horse with a severely bowed tendon and arthritis for $400, we could pay over $1000 for his rehab. That puts us at $1400, BUT his adoption fee would have to be waived to an adopter that wants a lawn ornament. Does this horse deserve it? ABSOLUTELY. Have we done it before? On occasion. HOWEVER, we cannot make a habit of this because it simply isn't a sustainable way to run our program. Now take that same $1000. Buy two young, underweight, but otherwise healthy and sound horses for $250 each. That leaves $500 for their vetting at the end, which is reasonable since there aren't any major maladies. Once they make it through our program, those two will be horses that we could charge an adoption fee for, recouping some of the funding spent on them, so we can go save more. Recycling funding is the key to longevity. Of course, we will spend money on surgeries and lay ups for the horses in our program. We try not to purchase horses with major issues, but if we happen to miss something at the auction (and I don't care how many years you've been doing this... even the best vets and HORSEMEN can miss things when buying at auction), we have committed to that horse and we will do right by it, 100%. We have never and will never send (or have someone send) a horse to auction. Ever. The second that auctioneer's hammer falls, they become a Bella Run horse and we are responsible for them. We have walked a horse out of the auction house and THEN noticed an injury... an injury that would have made us not bid on the horse in the first place. We have been told "You're still at the auction, just leave them and take them off your bill!" ABSOLUTELY NOT. That is not an option. It was our mistake, and that horse's lucky day. Several horses have come into our program that way over the years. An accidental bid bought us Faith, a horse we knew nothing about. We could have left her, but after bringing her home we realized that she was a peach, now happily adopted. There was Kate, a mare with a third degree rectovaginal tear. We didn't see it (it was impossible to see unless you closely examined her vaginal area... something we didn't do until after Kate) until we loaded her up on the trailer at the sale house. You bet we took her home and did right by her (this meant surgery and an intense layup). Kate is now loved in her new home. Would we have still saved her knowing this before the auction? Sadly, no. That surgery was expensive. However, once she was ours, we did right by her. Please note: We have often rescued that broken down horse that just breaks our hearts, knowing that there better be a spectacular horse in the program that can command a higher adoption fee to compensate. For these "hospice cases", co-founders Zack and Rachel will personally pay for them so no rescue funds are used. This helps keep us in check and also allows us to keep the promise of "responsible rescue". We are not calloused, and the tightrope we walk between "responsible" and "compassionate" is not one we would wish on anyone. We just want our donors to know that we try our best to make responsible, educated decisions when choosing which horses to save and which to let go on the meat truck. We have recently started a specific fund for those horses that are considered "unadoptable". For the old work horse, the lame 4H horse, and the foundered mini that we otherwise wouldn't save...there is now an option. 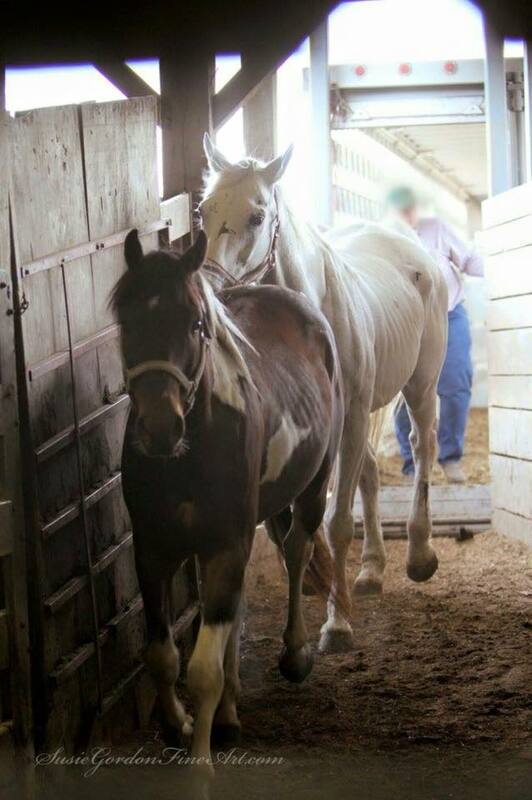 "Nettie's Lost Souls Fund" provides horses like this with one last chance at compassion. Whether that is rehabilitation/rehoming or euthanasia, the money donated to this fund will be used for those horses that break our hearts but need some extra financial help that we otherwise couldn't provide. If you are interested in adding to this fund, please contact us.